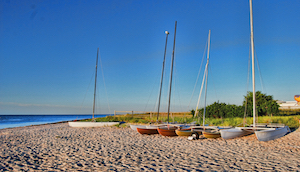 Dennis Port is a picturesque oceanfront part of the town of Dennis in Barnstable County, Cape Cod, Massachusetts. It is one of these ‘blessed’ places where you can retreat from the noise and anxiety of everyday life. Here, the ocean’s waves and refreshing breeze, the walks on the beach, the delicious local cuisine, the friendly locals, and the endless views, can turn your visit to Dennis Port into a very regenerating experience. 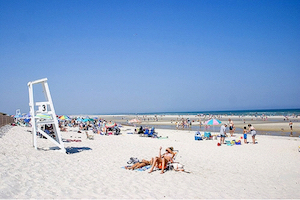 A few of the top Dennis Port attractions include Sea Street Beach, Mayflower Beach (ideal for swimming in the summer), Stage Stop Candy (one of the best chocolate spots on Cape Cod), Hart Farm Nursery, Holiday Hill Family Fun Center, Susan’s Garden Mini Golf (great for mini-golf enthusiasts), etc. 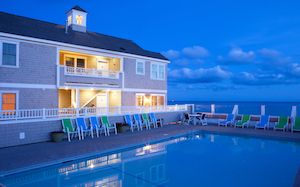 Regarding budget accommodation, The Breakers Resort has probably rooms with the best ocean view among other and nearby Dennis Port. Get Smart. Get Private Pricing. Zip Us Your Email. We Will Never, Ever Share It. DiscountHotels.com is not responsible for content on external websites.